There's one hour left on Friday, my first day at the 2011 Chicago National. Lots of stuff seen on the show floor, including three-sport outfits (Yankees hat, Red Wings jersey, basketball hi-tops), fans wearing shirts festooned with team autographs, and every permutation on "collectible" you can imagine. Real product: "Mickey Mantle Isometric Minute-a-Day Gym"
The one downside so far is concrete everywhere, which tires out one's feet quickly. You need a lot of sit-down breaks to contemplate doing this for multiple days. (I'm sitting down to type this, thanks to an unoccupied corner table.) 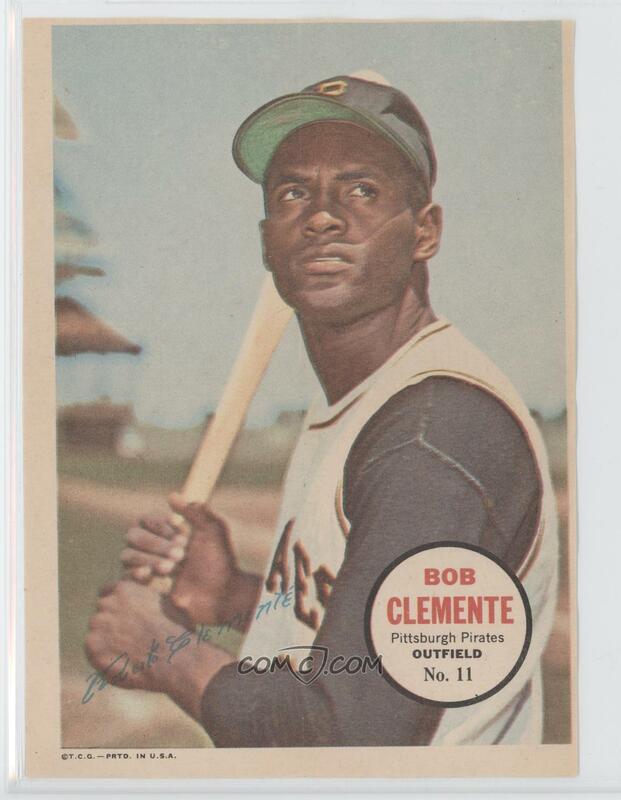 Best purchase so far's this 1967 Topps pin-up of Roberto Clemente for $7, scan borrowed from COMC.